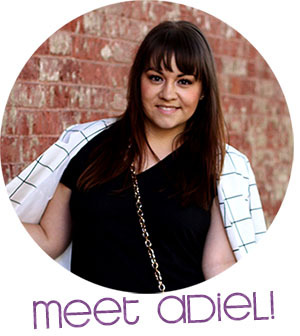 You may remember my pals at Bow & Drape offered friends of It's because I think too much a pretty nice deal on their awesome made-to-order wares. 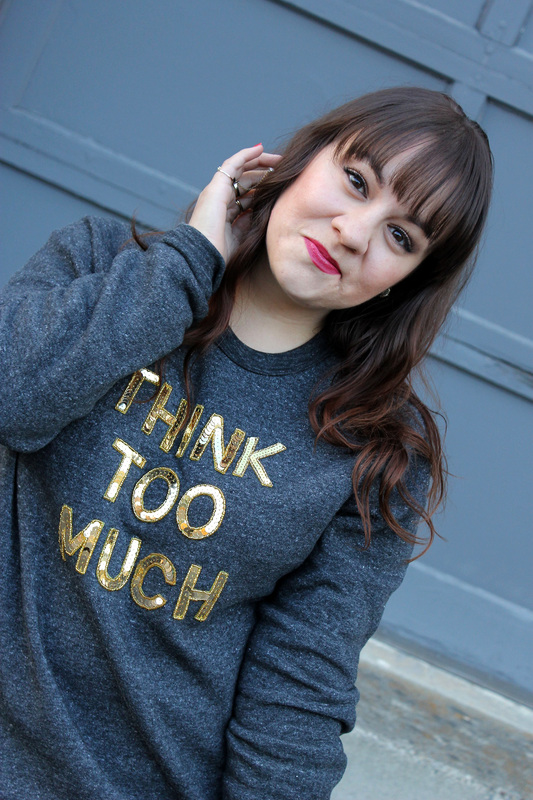 I couldn't resist taking advantage of it myself and ordered a custom "Think Too Much" sweatshirt that sort of puts my DIY'd one to shame. 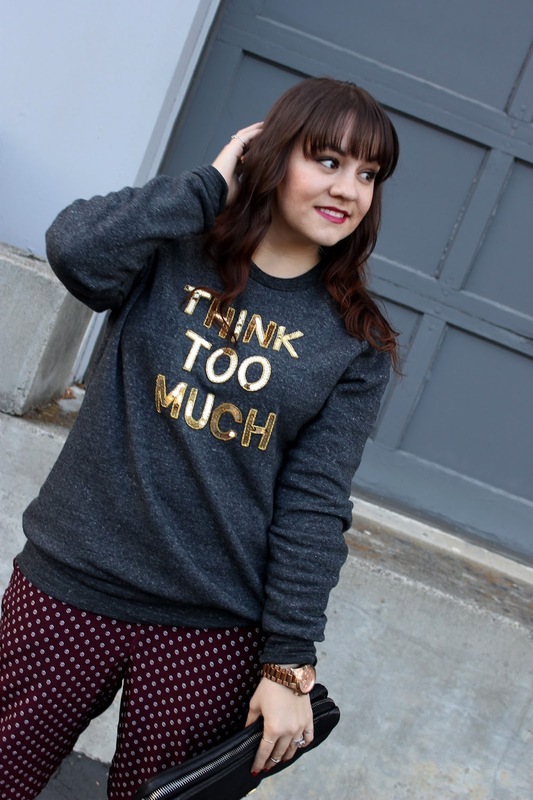 I love how the sequins really dress up what is otherwise a super-soft basic sweatshirt. 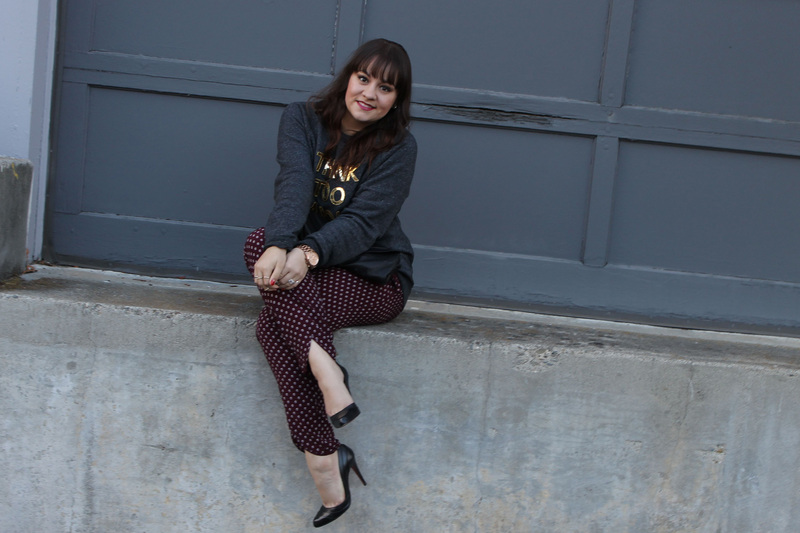 Taking the sequins' lead, I decided to dress up my sweatshirt with some silky pants, Loubs, and a day clutch! You almost can't tell that I'm wearing pretty much the world's most comfortable outfit! 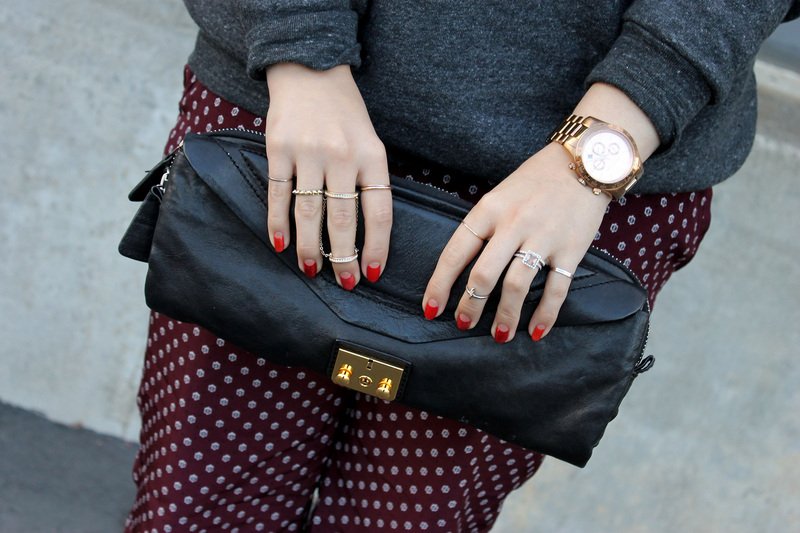 I love it when comfy and chic go together. Great look! I love this sweatshirt, how cute and creative. Personalized clothing is the best. I'm really head over heels for this outfit. I want it. I need it. Gimme! Thanks, Kimberley! I agree, I love personalized clothing! Such a good combo, right? Omg I think I need one of these made for me!